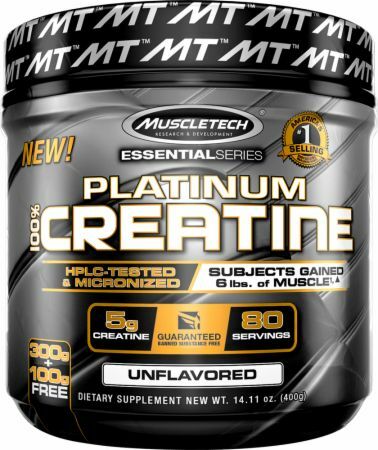 For a limited time, buy 2 Platinum 100% Creatine, 400 Grams for $16.99! Basic creatine but for a good price by an even better company! You can’t go wrong with creatine but I stand by muscletech with all there products so yes I recommend! I have been using this product for many years and I am very satisfied, I will not change the manufacturer, I also have to praise the bodybuildnig.com service, all these years even the smallest problem I did not have with them. Thank you! Gained 6lbs in 6 weeks. Disclaimer though, I was in a caloric surplus the whole time and I was super consistent with my workout program. The product isn't chalky or gritty. It mixes well. This product definitely helped me push past my plateaus. After the loading phase, I noticed I was able to push more reps with my heavy weight sets. 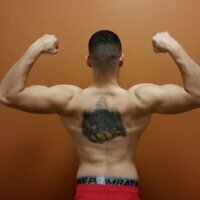 I was stuck at 245 flat bench for a couple of weeks only doing 4 sets of 4 reps. But now, after a few weeks of taking this product, I'm at 275 doing 3 sets of 3 reps then doing 8-10 reps of 245 for 3 sets. I never changed my diet or sleep pattern. But I did start drinking more water than usual. All creatine that I have used sinks to the bottom of the glass if you don't keep mixing it. This one however seems to mix significantly better than other brands I have tried. This has been my go to creatine brand for the last 2 years now and I pay to import it into my country with taxes because it is way better than the other stuff I can get here in the stores. 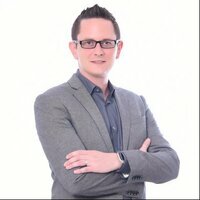 Best results I ever got from a creatine supplement. Mixes great. No stomach issues. This is a question not a review. Says 1 to 2 scoops daily. U get 5g per scoop, i was always told to limit creatine to 5g per day to avoid water weight gain. Anyone taking 5g oer day and having great results??? What can you mix it with? ?